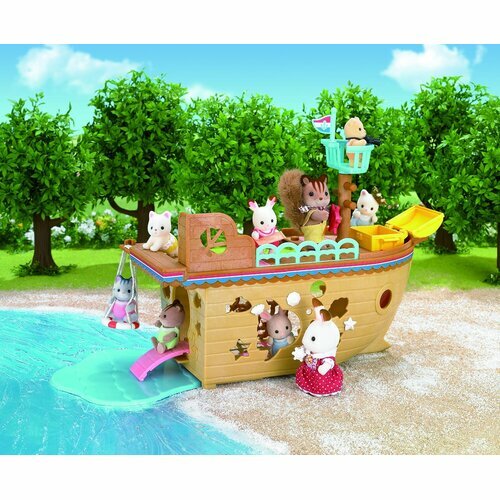 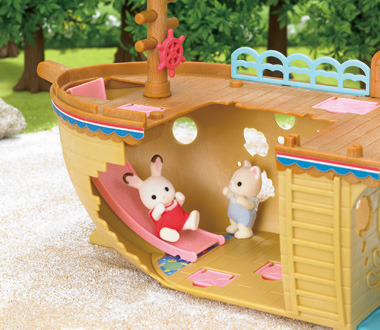 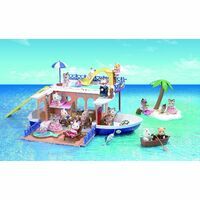 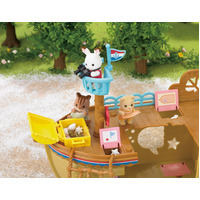 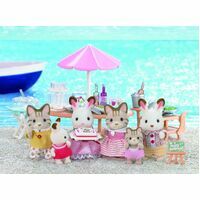 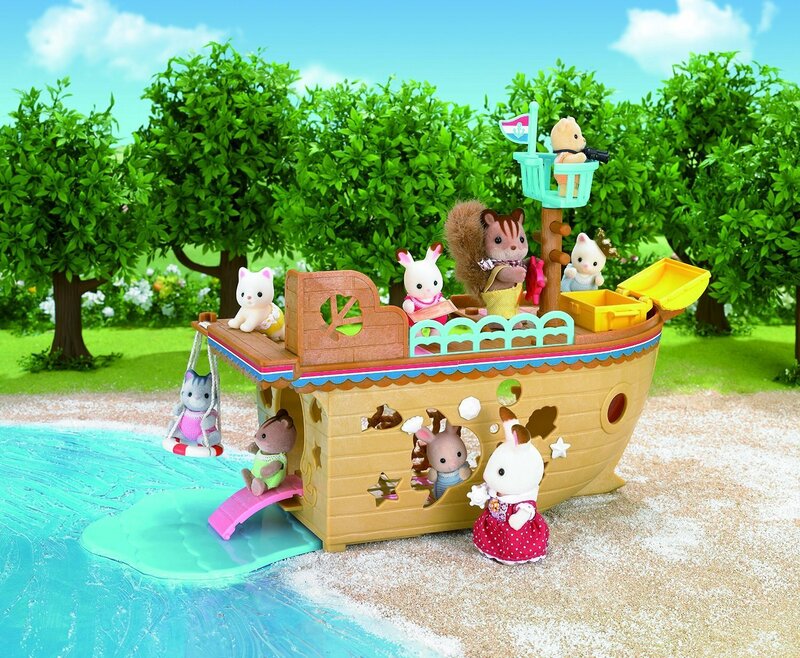 Whether your Sylvanians want to go on a treasure hunt, or sail the Sylvanian seas, this little vessel is the way for them to navigate the big blue ocean! 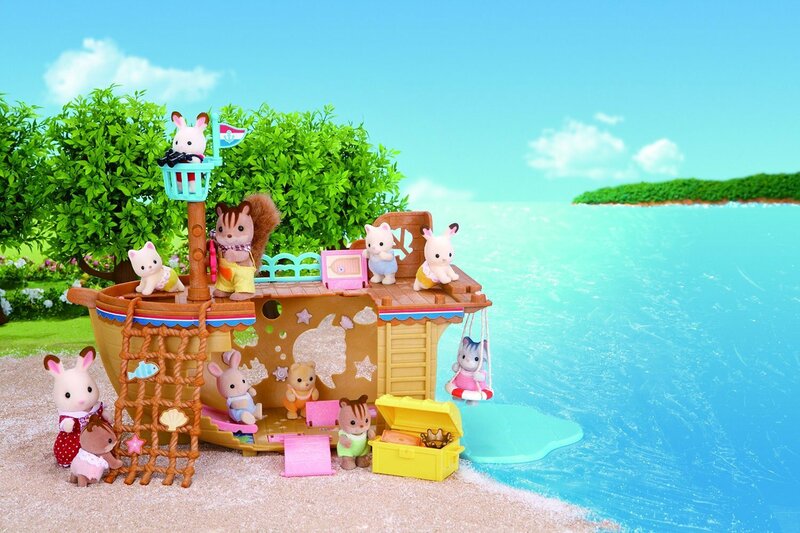 Conveniently located on the Adventure Island, this playground lets your Sylvanians use their imaginations to play pretend Explorers! 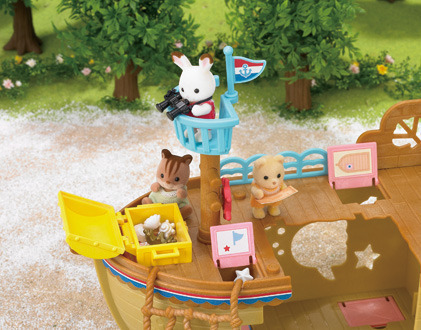 From costumes to a viewing deck, this adorable themed playground has great games for all ages! 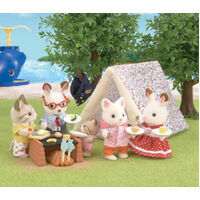 Including a slide, swing and climbing net, plus some hidden treasure to hunt. 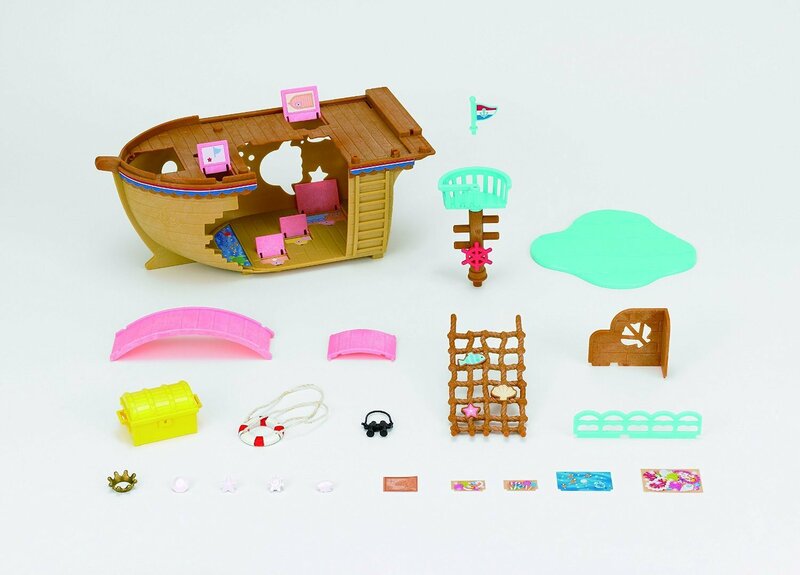 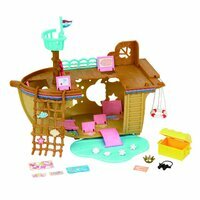 Pack includes: 1 ship body; 1 flag; 1 viewing deck; 1 slide; 1 pier; 1 net; 1 sea; 2 fence; 1 treasure chest; 1 float;1 Binocular Telescope; 1 crown; 4 gem; 1 treasure map; 8 card sheet.